Raindrops on roof tops, Wind blowing 25 knots.. These are a few of our least favorite things. What’s up with the Arctic chill? Today Sat May 25 I greeted Russ in the galley with, “holy Artic chill Batman.” Not a phase generally uttered by me, in any version. Minutes later the Salada tea tag read, “The Arctic is the land of frozen assets.” Oh freaky. And so true- not even 50 degrees by noon. Burned another gallon of diesel using the genset for power to run the AC/Heaters in both hulls. Cold, damn cold. Rain once again mostly skirting by, unlike areas west and north of us. High tide is promising to be higher and as it creeps up we may watch the island picnic table float away..or blow way with gusts over 30kts! Speaking of favorite things, just so you don’t think we’re sitting here whining about the crappy weather without a positive thought in our heads, we do have a few faves to share. 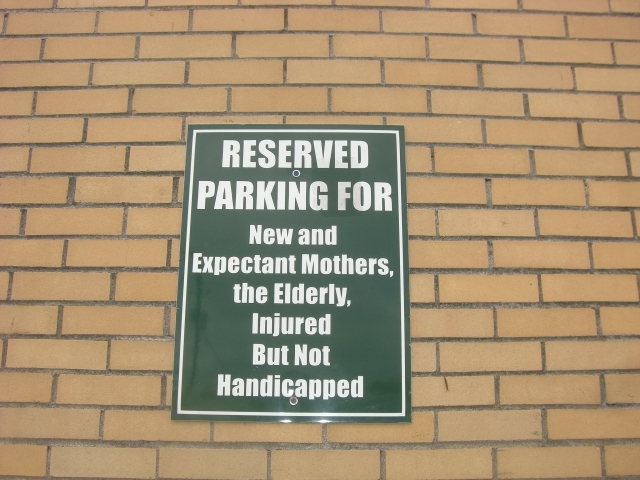 Maybe you know of these, (well, some of them anyway) but if not- enjoy! Lobster baby, cold water New England ones- the largest one we’ve ever steamed cuz Shop Rite had them for $4.99/lb. This dude provided dinner and two breakfasts of lobster omelets. Four pounds, steamed 18 minutes after re-boil- perfect. 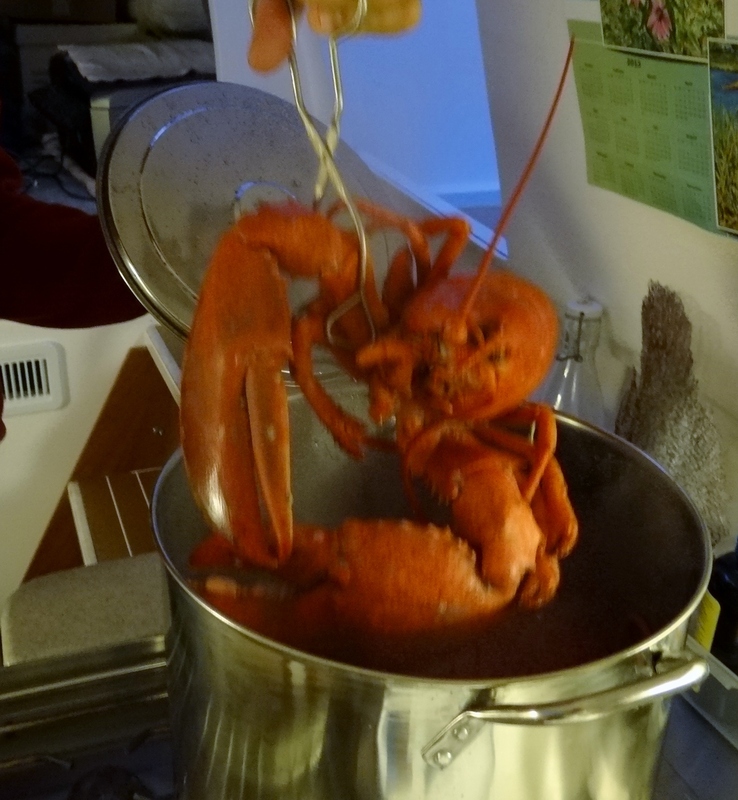 Many say larger lobsters are tougher, but that is often caused by over-cooking. We dip ours in a mix of melted salted and un-salted butter and squirt of lemon juice. Crackers were no match for this guy; we needed a hammer! Dinner! Steamed to sweet perfection. 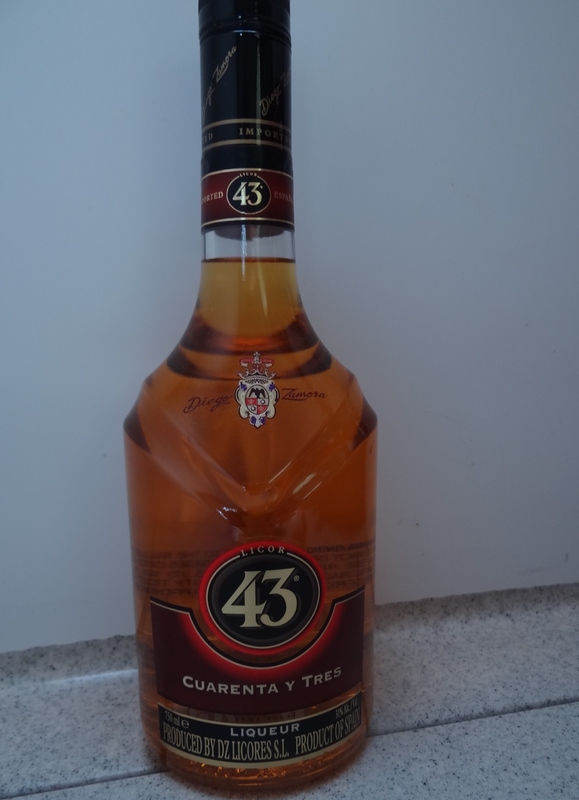 LICOR 43 is a Spanish vanilla liqueur that won’t require a small loan to purchase. Supposedly the best-selling liqueur in Spain, LICOR 43 is blended from – guess what? 43 secret ingredients “in a quest to emulate the qualities of the legendary LICOR Mirabilis.” Very drinkable, even for me, just over the rocks. We discovered this while dining at Table 24 in Rutland, VT. The Toasted Macaroon was impossible for either of us to resist and the recipe is: Coconut Rum, Tequila, LICOR 43, Frangelico and coconut milk (unsweetened). Combine copious amounts of booze with about the same amount of coconut milk, drizzle chocolate (sauce, syrup or crème de cocoa) inside your glass (be creative), add ice and pour in your liquid mixture. Toasting shredded coconut to sprinkle on top will give you that “made by a great bartender” experience. Salud! Charleston oh Charleston, we have acquired quite an affinity for this oldest city in South Carolina. Known for its rich history, well-preserved architecture, restaurant community, and mannerly people, Charleston has received a large number of accolades, including “America’s Most Friendly [City]” by Travel + Leisure in 2011 and “the most polite and hospitable city in America” by Southern Living magazine. No wonder we are so drawn to it and have made it a “must-stop” in both directions. During our 3-day visit this past April, we visited several new restaurants as well as the nearby neighborhood gem, Saffron. Poogan’s Porch tempted me with a simple John Daly. A John Daly is the alcoholic equivalent to an Arnold Palmer, and yes they are both pro golfers. 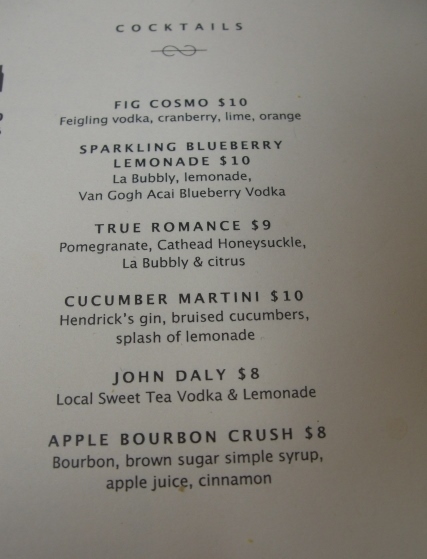 John Daly has his own label of course but the drink recipe for the one at Poogan’s was Firefly Sweet Tea Vodka and homemade lemonade. So taken were we that we hunted down Firefly Sweet Tea Vodka and a 4-pack of their ready-to-drink Sweet Tea Lemonade. We will definitely visit Firefly’s distillery during a future visit; it’s just a short drive south of Charleston. Firefly Sweet Tea Vodka and their S.T. Vodka Lemonade- heed the warning! Another fun find in Charleston were these one-piece molded, stylish Oka b sandals. Made in the USA even. I was in the market for a “go with many outfits” pair with a tiny heel and not too fancy. Found them here. You can see them online or in your favorite boutique-y shop. Isn’t this so cute? 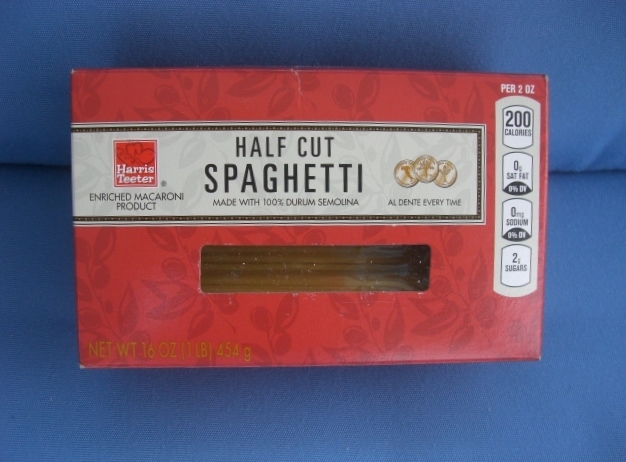 How perfect for the smaller pots I use for cooking pasta. No large, water hog pot on this boat- or many others either I imagine. Break it myself you say? Too messy with all those teeny pasta pieces scooting around the counter, on to the floor and in that catch-all space between the stove and the counter. We’ve looked for a plastic filler piece- so far no luck. 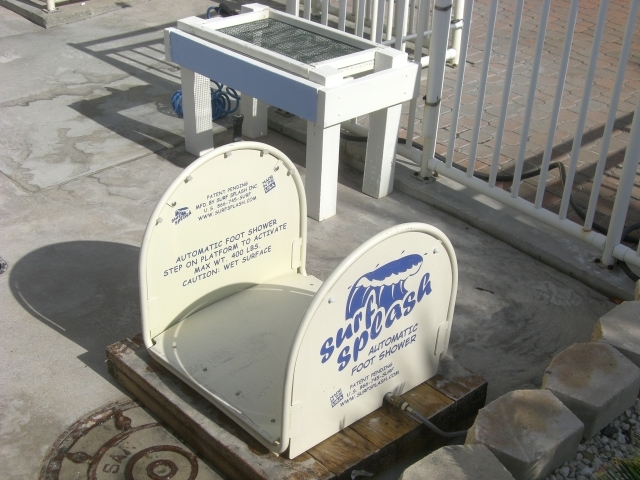 Not exactly a product you go out and buy, but we thought it clever and if they made a smaller version, how great that would be for the boat. No tracking all that sand in from the beach. 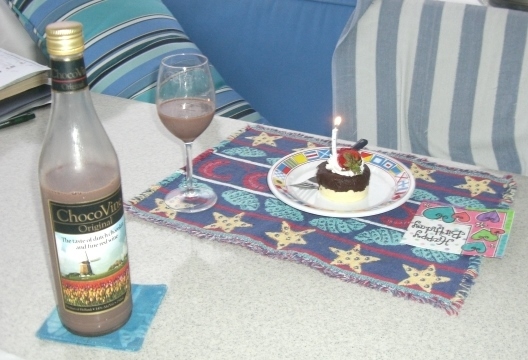 Could we be repeating ourselves to show chocolate wine on this list? Um, um. Even better is the price of a competing label, Chox. Which tastes virtually identical to ChocoVin. Others we’ve tried don’t come close. Chox does and at $3 less than the leading brand! 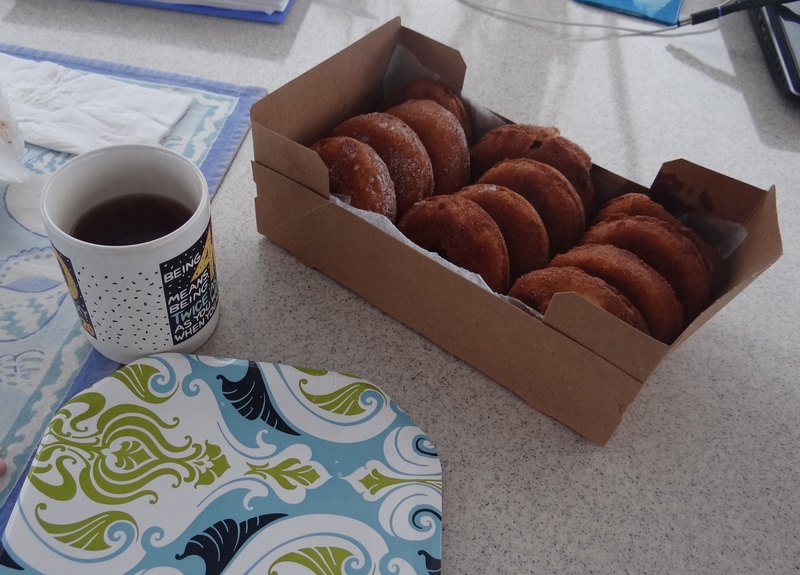 Excuse me while I mop up the drool that forms at the mere thought of Killer Donuts- found only at Payne’s on Block Island. I recall reading some time ago that the secret ingredient is sour cream and my taste buds concur. Not too many foods (anymore) cause me to over-indulge; however, this is one hard-to-resist mouth-watering, warm morsel of soft doughnut goodness. If any survive the first day they are still pretty good warmed up in the microwave. Killer Donuts- all mine, mine!! I’m digressing with this one I know. 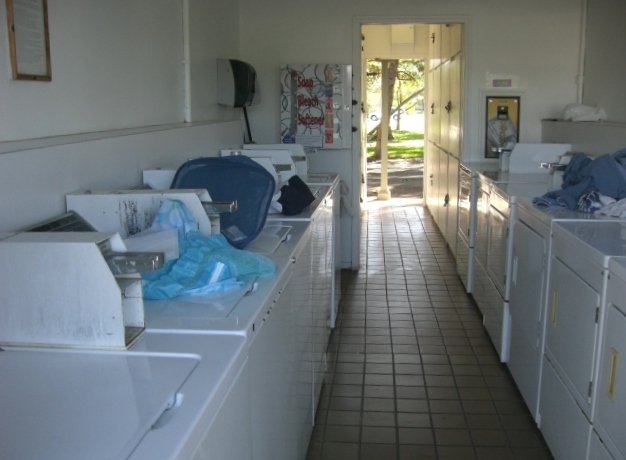 But, but… it is the best marina laundry we’ve found along the intracoastal. Look at all those washers and dryers! They were smart enough to have an extra dryer too. Ok, so no folding table, but somehow we all manage by using the dryer-top space. Vero Beach City Marina is the place. Spent plenty of time there. Eight dryers for seven washers. Jimmy Buffett isn’t the only one with a particular harbor in mind. 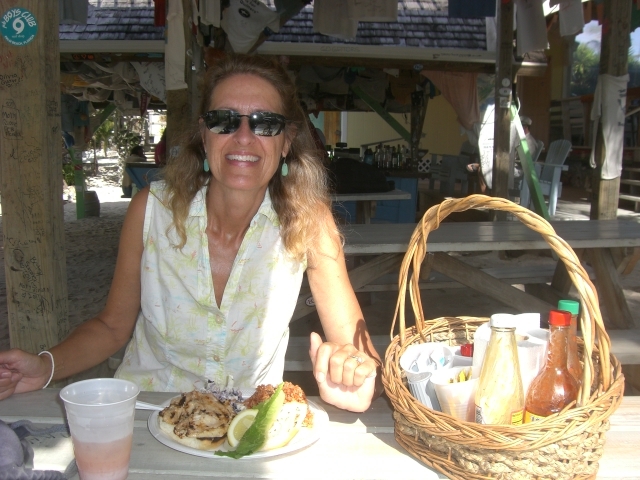 Pete’s Pub in Little Harbor, Abaco serves up one of the best meals in the entire Bahamas. Considering they are a beach bar- but one with attitude and access to fresh fish- the chef knows her stuff. 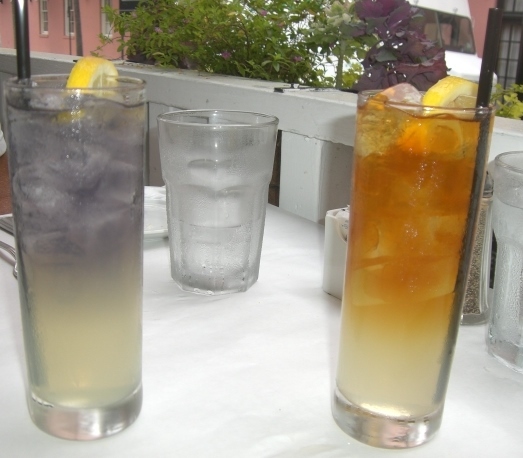 Grilled Mango Grouper sandwich and Lemon Triggerfish sandwich are our two faves. Do not miss Pete’s if you get to Abaco. So you have no boat? No worries- you can drive there from Marsh Harbor. 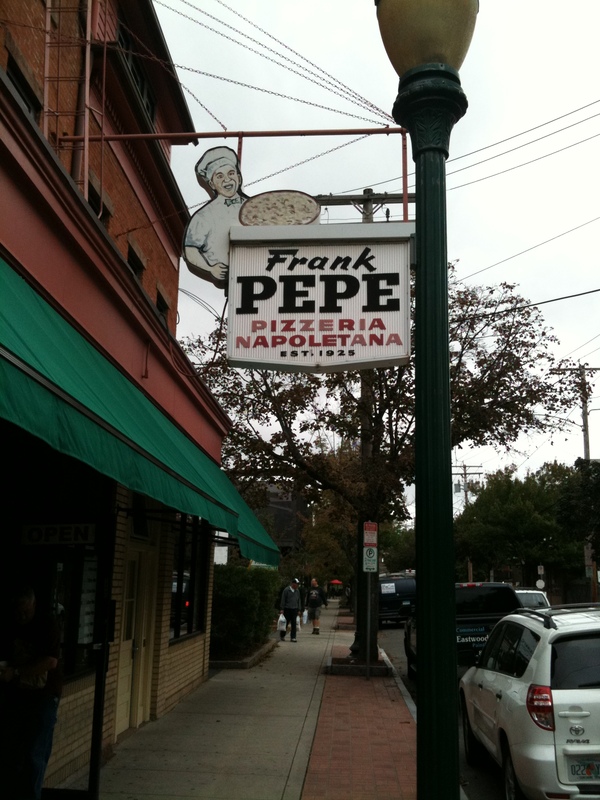 Last and by no means least, how could I leave off Pepe’s in New Haven, CT? In years past we’d stand outside in line all bundled up and stepping into the foyer felt sooooo good. Our annual pilgrimage would often take place between Christmas and New Year’s. Now when we go in summer, doesn’t feel the same but the pizza is just as great! If you don’t burn the roof of your mouth you have way too much control!